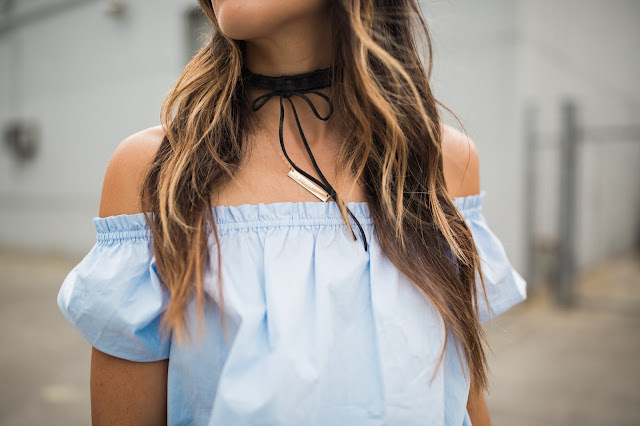 Chokers are a trend that I've been dying to try out-- guys, I think I may be hooked! Rhipped Denim was kind enough to send over a few different versions for me to style and the day my package showed up, I immediately added it to my outfit. I couldn't be happier with the fit/look and the edginess it adds to my outfit. Don't be afraid to try something new, you may just love it! Love this! I actually just bought my first choker from Asos... I may end up addicted like you!